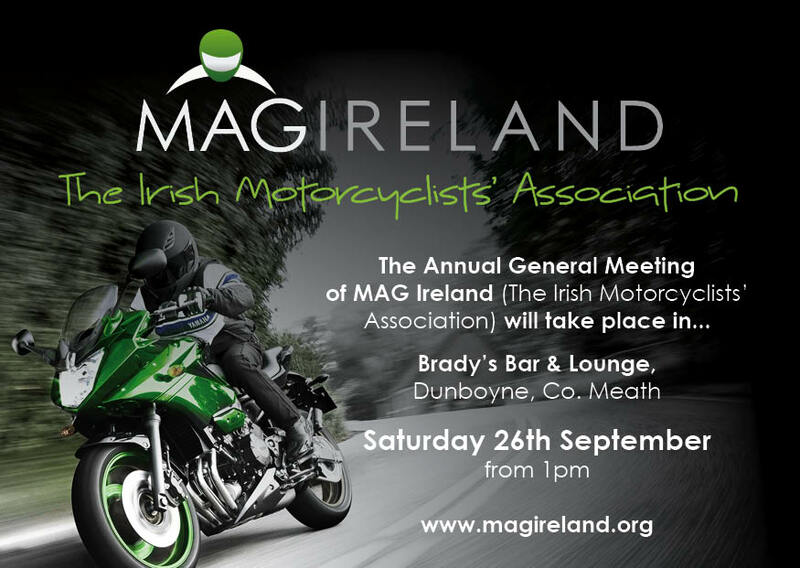 A beautiful autumn day greeted delegates and members who attended the Annual General Meeting of MAG Ireland (The Irish Motorcyclists’ Association) which took place on Saturday 26th September 2015 in Brady’s Bar & Lounge, Dunboyne, Co. Meath. This AGM represented another step forward for MAG Ireland as we continue to adapt and change to make the organisation better able to represent Irish motorcyclists. A number of volunteers have come forward to offer their assistance and expertise and we are sure that over the coming year we’ll see some new faces co-opted onto the board. We’d like to take this opportunity to thank the outgoing board members who gave freely of their time and skills for the benefit of the organisation over the past few years. Outgoing treasurer Declan McGuire is stepping down as a board member but will remain involved in MAG Ireland as an active volunteer. Declan’s been involved in the organisation at board level since 2009 and was instrumental in overhauling our communications and procedures. While we’re sorry to see Declan step down as an elected member of the board, we’re delighted that he will continue to be a an active MAG Ireland supporter and advocate. Outgoing P.R.O. Victor Donnelly has been instrumental in driving through many of the changes which took place in MAG Ireland over the past few years. He served in a number of roles with MAG Ireland and was responsible for overseeing the development of the MAG Ireland smart phone app – a first for any riders representative organisaion. Victor delivered another first with the Waterford Parking initiative earlier this year and has ably represented riders at local, national and EU level. His enthusiasm and energy will be missed by the board we wish him the very best in his next endeavours. 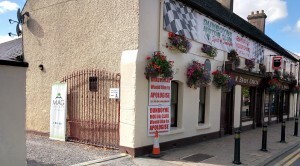 We also extend out thanks to the members who travelled to the AGM from across the country and to our hosts Brady’s, who despite being busy with the Spirit of Dunboyne festival went out of their way to facilitate us on the day. We now look forward to another year as the incoming board members settle into their roles and we get down to the business of providing a voice for Irish motorcyclists.